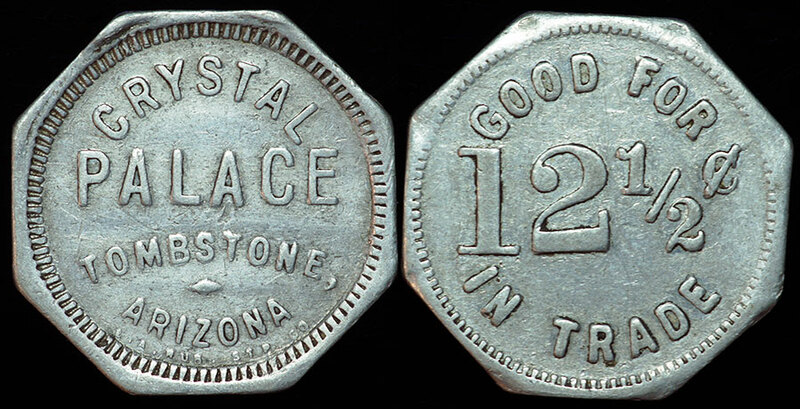 CRYSTAL PALACE TOMBSTONE ARIZONA; Rx: GOOD FOR 12 1/2c IN TRADE. The Crystal Palace is still a popular going concern in Tombstone today, now under new management! This token is listed as rarity R9 (3-6 known) LARS.